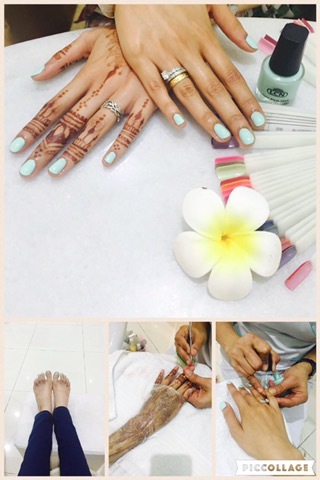 I was welcomed by the lovely ladies into the salon, their JLT branch, which has been decked out with Valentine’s decorations though the overall look is white, crisp and clean. 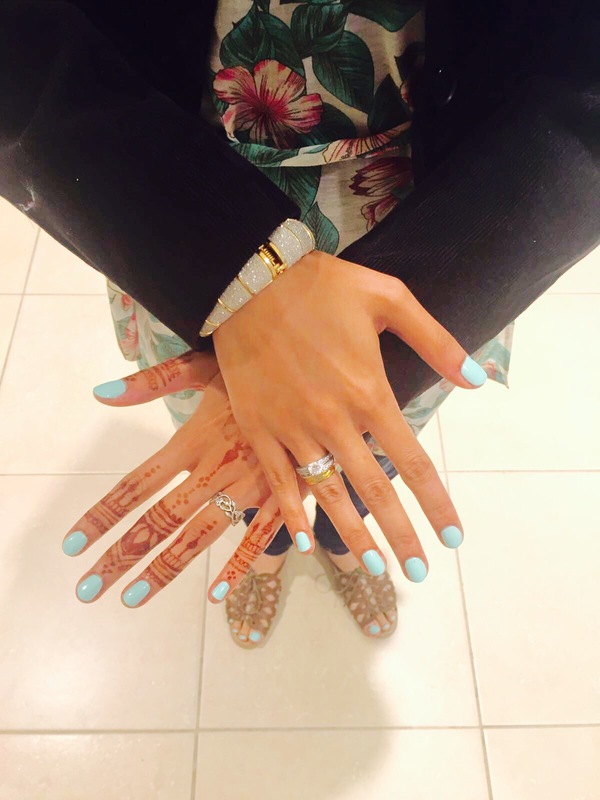 Since I had arrived a little early, I mooched around to pick my nail colour, opting for a mint green to compliment my outfit, and made myself comfortable. Though the salon was quite busy, both ladies gave me their full attention during my treatments and it was lovely chatting to them at the same time. True to the name of their salon, I was very much treated like a Queen. 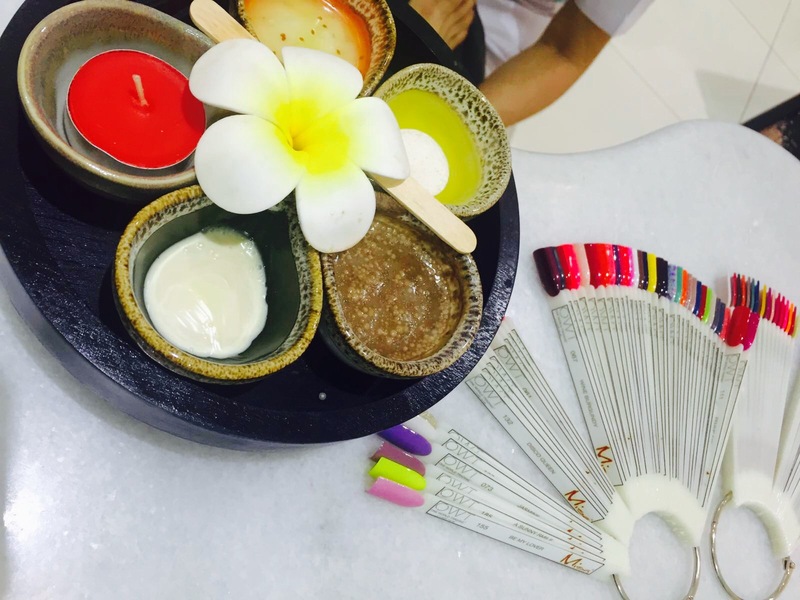 The service was excellent and I must say I was tempted to try out more of their services, especially their facial. I also loved meeting Sakshi herself, who popped in to the salon whilst my treatment was being done, and it was a pleasure chatting and getting to know more about her as well as her other businesses. I am so happy with the end result, and of course took plenty of photos, apart from snapchating my whole experience at this wonderful salon. 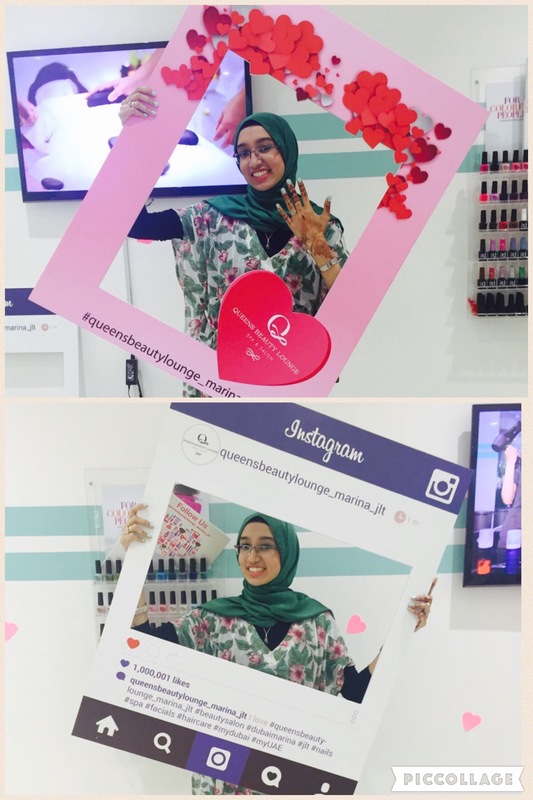 Queens Beauty Lounge have two branches, one in Dubai Marina, and the other is in Jumeirah Lake Towers. 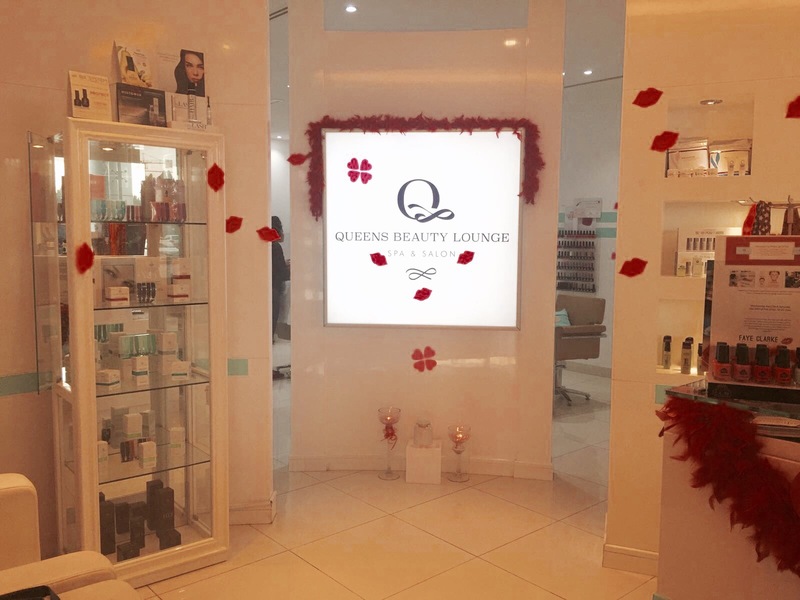 If you are in need of a pampering session, do make sure you check out the offers that Queens Beauty Lounge are offering during this month of Love! For more information, check out their website or stay updated by following them on their social media. 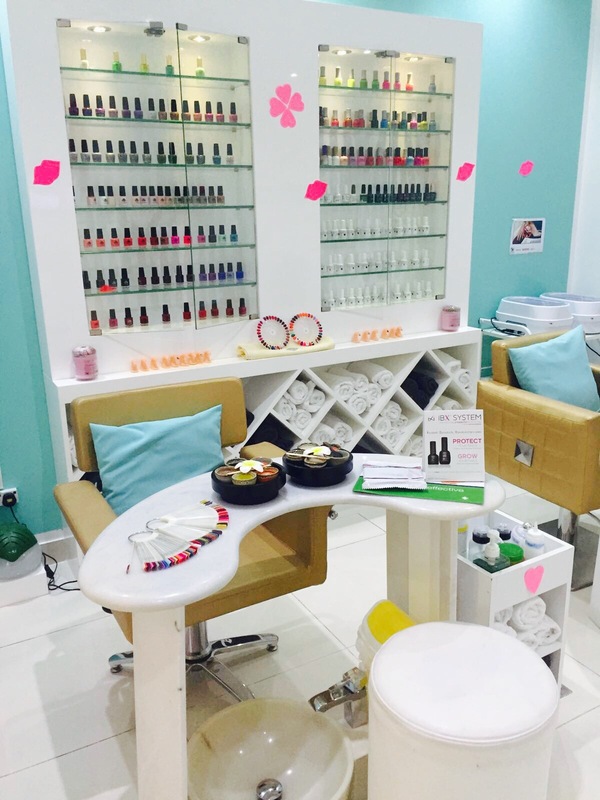 Note: I was invited by Queens Beauty Lounge to carry out this review. However, all views and opinions expressed above are honest and solely my own. 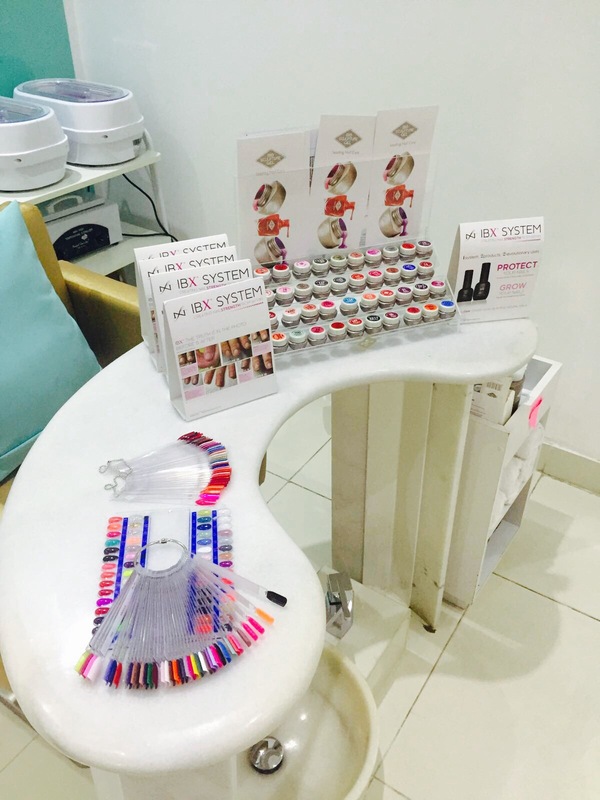 Have you tried out the services at Queens Beauty Lounge? What did you think of it? Please feel free to share your thoughts below in the comments section! Thank you!